To provide medical facilities to the most needy, Jagadguru Kripalu Parishat runs three Jagadguru Kripalu Chikitsalayas in three rural areas of Uttar Pradesh - Mangarh in Pratapgarh district of UP, Barsana in Mathura district of UP and Vrindavan, also in Mathura district of UP. All three hospitals are a multi-facility hospitals providing free services of allopathy, homeopathy, naturopathy, gynaecology, physiotherapy and ophthalmology. 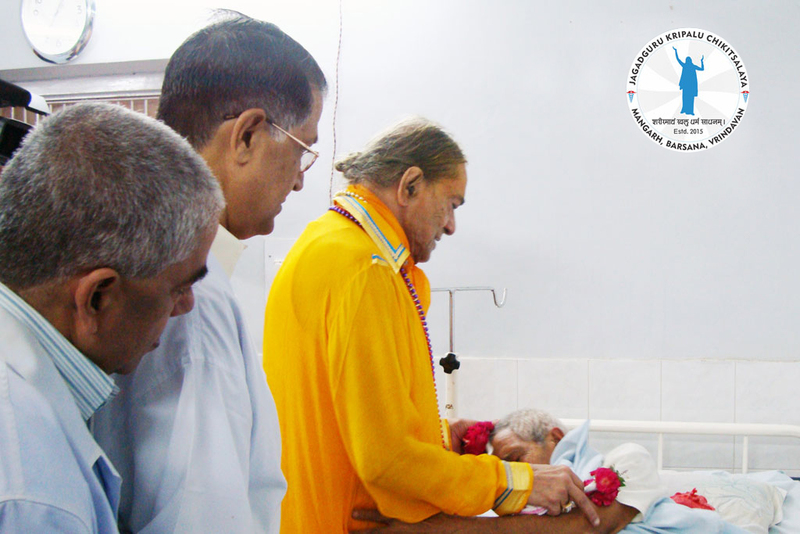 Jagadguru Shri Kripalu Ji Maharaj, founder of Jagadguru Kripalu Parishat and the inspiration behind the JKC hospitals, was a God Realised Saint whose entire life was dedicated to inspiring souls on the path of devotion to God and service to humanity. Through enlightening discourses and chanting of the holy name, Jagadguru Shri Kripalu Ji Maharaj made unceasing efforts to reveal the true philosophy from the Vedic scriptures to mankind in the simplest form possible so that they may attain their true goal of God Realisation. Mankind was privileged to have his physical association on this planet earth from 1922 to 2013. Jagadguru Kripalu Chikitsalaya was established by Jagadguru Kripalu Parishat (JKP). 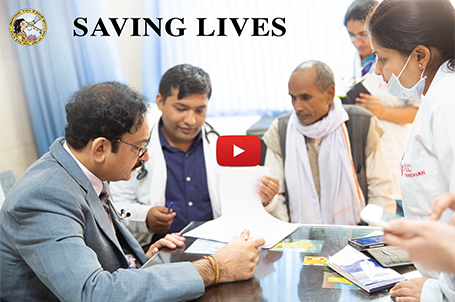 The Presidents of Jagadguru Kripalu Parishat work daily to ensure that the running of these three hospitals continues in the most effective manner to reach as many of those in need as possible. 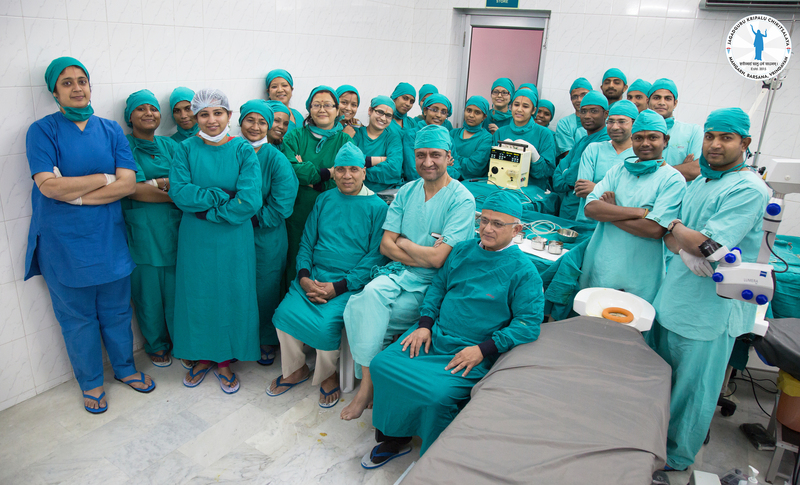 They provide guidance, support and care to the team running the hospitals and also visit patients in the hospitals regularly. 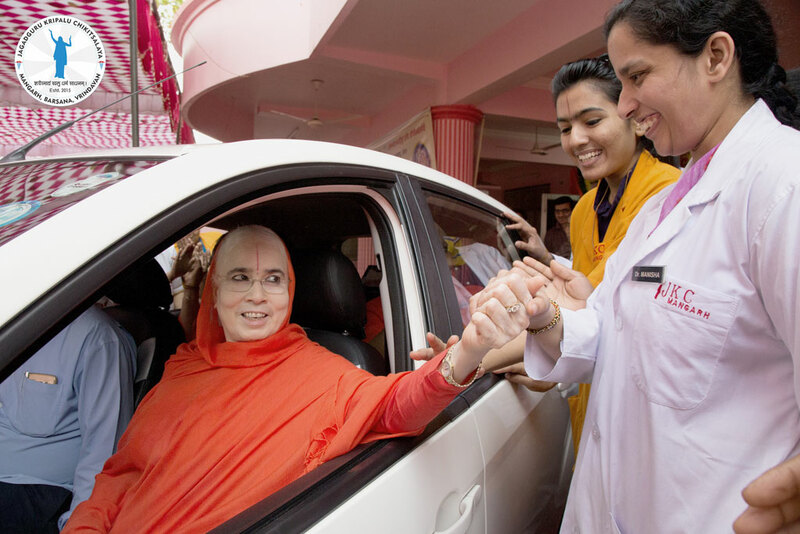 To provide medical facilities to the most needy, Jagadguru Kripalu Parishat runs three Jagadguru Kripalu Chikitsalayas in three rural areas of Uttar Pradesh - Mangarh in Pratapgarh district of UP, Barsana in Mathura district of UP and Vrindavan, also in Mathura district of UP. All three hospitals are a multi-facility hospitals providing free services of allopathy, homeopathy, naturopathy, physiotherapy, and ophthalmology and dental treatment. 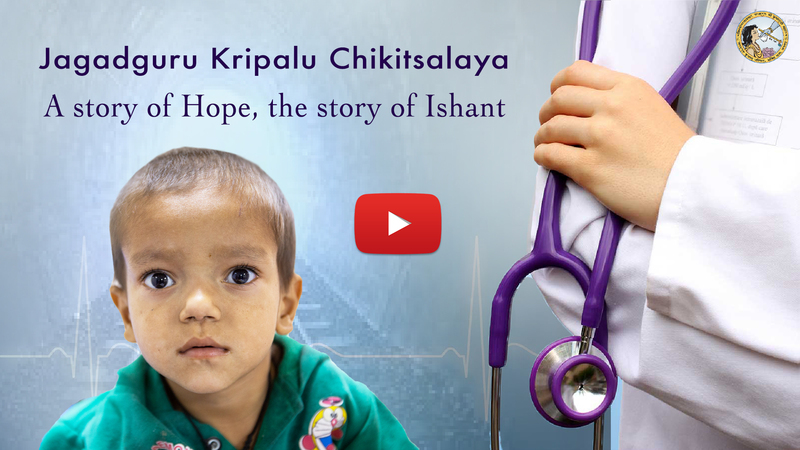 Jagadguru Shri Kripalu Ji Maharaj, founder of Jagadguru Kripalu Parishat and the inspiration behind the JKC hospitals,dedicated his entire life to inspiring souls on the path of devotion to God and service to humanity. Through enlightening discourses and chanting of the holy name, Jagadguru Shri Kripalu Ji Maharaj made unceasing efforts to reveal the true philosophy from the Vedic scriptures to mankind in the simplest form possible so that they may attain their true goal of God Realisation. 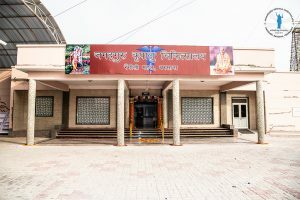 Jagadguru Kripalu Chikitsalaya is established by Jagadguru Kripalu Parishat (JKP). The Presidents of Jagadguru Kripalu Parishat work daily to ensure that the running of these three hospitals continues in the most effective manner to reach as many of those in need as possible. They provide guidance, support and care to the team running the hospitals and also visit patients in the hospitals regularly. 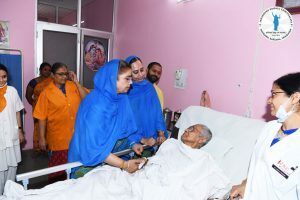 Noticing the lack of medical facility in Pratapgarh district of Uttar Pradesh, JKP started its first fully charitable hospital in Mangarh village. JKC Mangarh was inaugurated on 5th November, 2003. 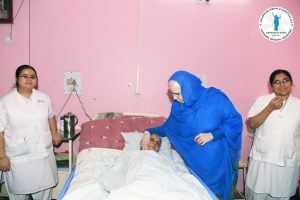 This hospital has proved to be a boon for the local residents who don't have anywhere else to go for medical care or are unable to afford it. 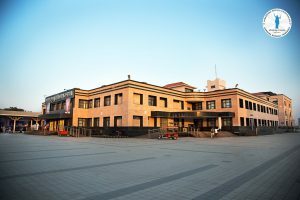 The hospital serves 600 to 700 patients daily. 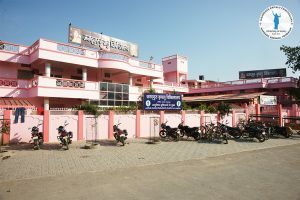 JKC, Barsana was inaugurated a few years later and JKC, Vrindavan was inaugurated in 2015. 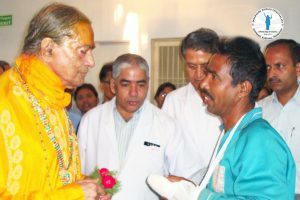 Jagadguru Kripalu Chikitsalaya was established by Jagadguru Kripalu Parishat (JKP) and by the inspiration of Jagadguru Shree Kripalu Ji Maharaj, the fifth original Jagadguru in the history of the world. 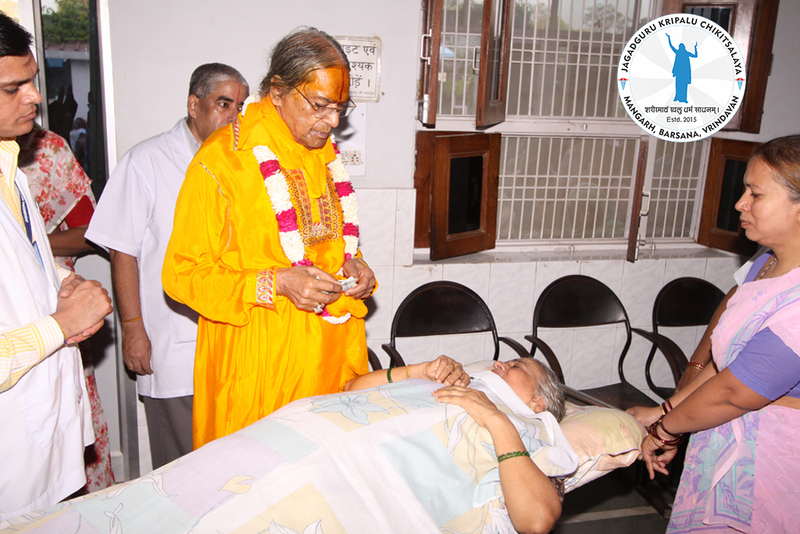 Its goal is to provide charitable medical services to the needy who suffer due to lack of affordable medical facilities. 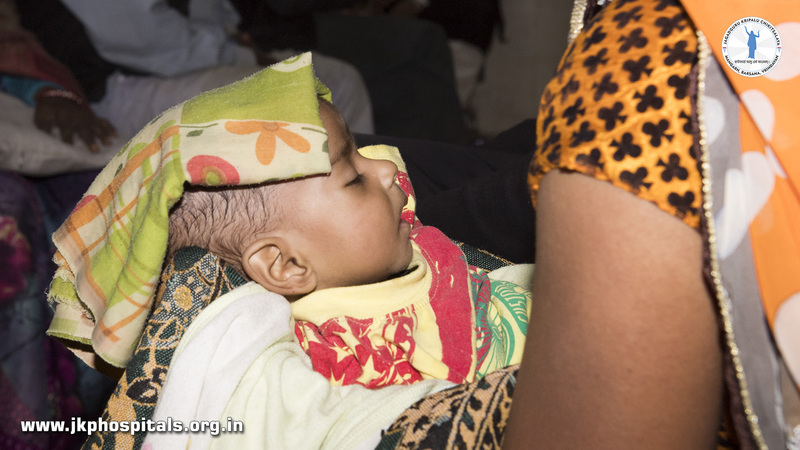 Towards this goal, three 100% free charitable hospitals have been established where every aspect of medical treatment is provided free of charge including doctor's consultation, lab tests, X-Rays, emergency services and medication. Give generously so that JKC can continue to serve those from underprivileged backgrounds. 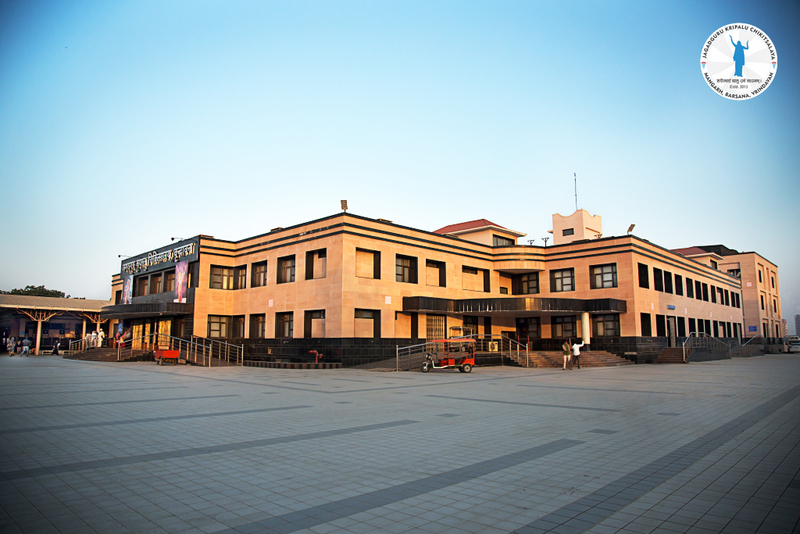 Sponsor medical equipment or specific treatments and other important work provided by the hospitals. You can also volunteer as a Doctor, Nurse etc. Just email info@jkp.org.in with your details. Help the communities we serve through your donations. GIVE TODAY to donate now.